Everyone has something unique to give. And when we share our gifts with each other, magic happens! We paired our tech savvy teen volunteers from Crescenta Valley High School with seniors living at The Fair Oaks by Regency Park in Pasadena. Our teens helped the seniors trouble shoot problems with their phones, tablets and computers and the seniors reciprocated by sharing life advice with the teens. Thank you teens and seniors for sharing your gifts with each other! 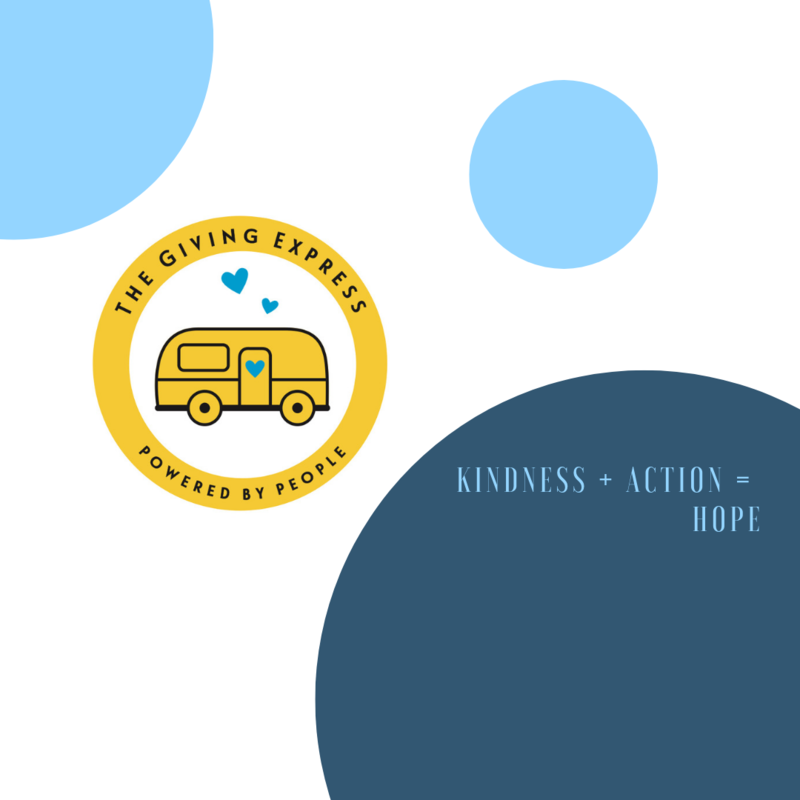 For those who wish to build a better world, The Giving Express builds community toward a shared goal for good by hosting themed Pop-Up Giving Events with the simple belief that the act of giving is a powerful agent of change. We focus on “growing more givers” by igniting a passion for generosity and providing ordinary people a way to use their unique resources and skills to surprise people with unexpected and needed support in communities across the greater Los Angeles area. The Giving Express. Generated by Giving. Powered by People. How does The Giving Express work? We first identify a NEED by working with other nonprofits and individuals to find neighbors who need specific goods and services. Then we work with a giving partner (like a school, community group, mall or corporation) to come up with a SOLUTION. The Giving Express can host anything we dream up: pet therapy for seniors, English tutoring for immigrant children, baby showers for new mothers in need, donation drives for shoes, kitchenware or sports equipment – the list is limited only by our imaginations and the needs of our neighbors. The Giving Express is placed on the partner campus and filled up with donations and volunteers from the partner organization and the community at large. Lastly, we mobilize The Giving Express and it arrives with volunteers in tow to surprise and support our neighbors with goods and/or services. You never know where we’ll pop up next! How can I donate money to support The Giving Express? We rely solely on donations from the community. Please consider supporting us by donating to our upcoming Indiegogo campaign in Spring 2019. This will be our first fundraiser to raise money to purchase supplies and a van to house our first The Giving Express. A plan to purchase and refurbish a trailer is in the works! Please subscribe to our mailing list for details about our Indiegogo campaign and to be notified of upcoming Pop-Up Giving Events. How can I donate goods to a Pop-Up Giving Event? Thank you for donating goods! We will happily collect the specific goods requested at the location of our current Pop-Up Giving Event. The location and the collection date of our current Pop-Up Giving Event will be listed on our website. Will you be able to accept donations after the date of the Pop-Up Giving Event? Unfortunately, we will not be able to collect goods past the Pop-Up date. However, we encourage you to contact the receiving nonprofit to discuss dropping off donations yourself. Can I volunteer to help at a Pop-Up Giving Event? Yes! We are always looking for help at both the giving and the receiving locations. We need volunteers to collect and organize goods at Pop-Up Giving Events and we also need volunteers to pass out goods and assist with services at the receiving end. If you would like to volunteer, please email us and provide the names, email addresses and phone numbers of all in your party. And let us know the ages of any children who will be volunteering. Children under the age of 14 must be accompanied by an adult. What if I have extra clothes, shoes, etc. that I would like to give away. Do you take them? No. We only take very specific items that are requested by our receiving partners. A list of these items change with each Pop-Up Giving Event and will be listed on our website. But please consider donating your goods to other nonprofits in your neighborhood! Where and when is the next Pop-Up Giving Event and how can I find out more about it? Please subscribe to our mailing list to receive our email invitations. Follow us on Facebook and Instagram and we will always post new events on our website homepage. I have an idea for a Pop-Up Giving Event. Can I share it with you? Yes please! We are always looking for new ideas from the community. I have a talent I would like to share. How can I donate my time and services? Everyone has a superpower and we love it when people share their talents in the service of others. Please tell us about your skills and how you would like to help others through The Giving Express. I know of a nonprofit, a school, a community, or a family who could use some help. Can I recommend them to you? Absolutely! We rely on you, and others in the giving community, to let us know about our neighbors in need of goods, services or maybe just a little cheering up. What if I want to donate money to the specific nonprofit or receiving partner of a Pop-Up Giving Event? We will gladly accept cash or check donations (checks made out directly to the receiving group) in person at our Pop-Up Giving Events. Thank you for your generosity!